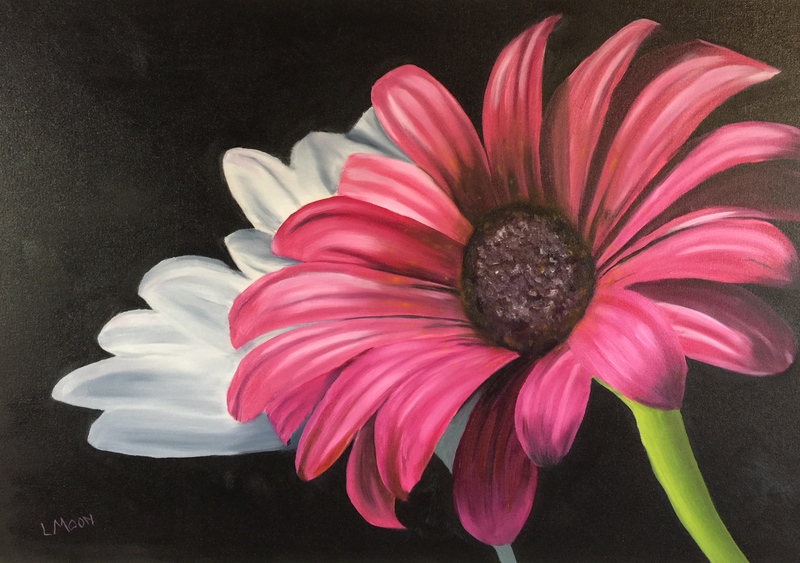 The Pink Daisy is an original 24×36 oil painting by LMoon (me). Daisies convey cheer and exuberance. A Daisy symbolizes innocence and purity and also new beginnings (probably because they open at dawn.) I hope you enjoy this pink variety. This entry was posted in Oil Paintings and tagged Art, Oil Paintings, quotes. Bookmark the permalink.